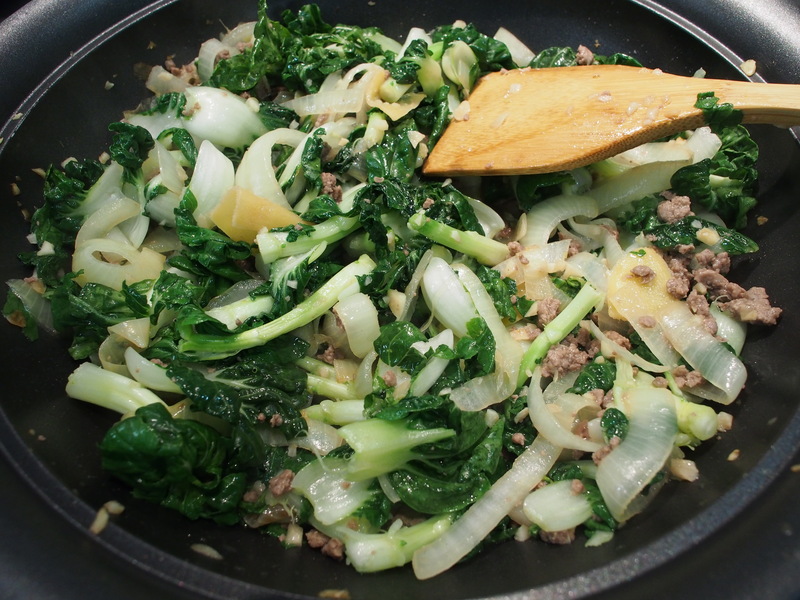 This was the first dish I ever made for Bosco and remains one of his top favorites to date. Every time I make it, he still clears it all up. 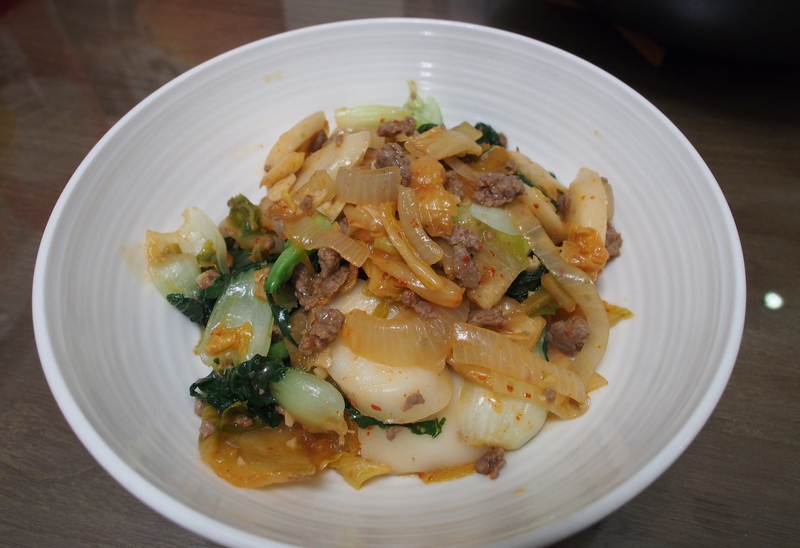 This was inspired by both Shanghainese and Korean style rice cakes. This is great comfort food for a weekday when you want to keep things simple but still packed with flavour, color, and texture. 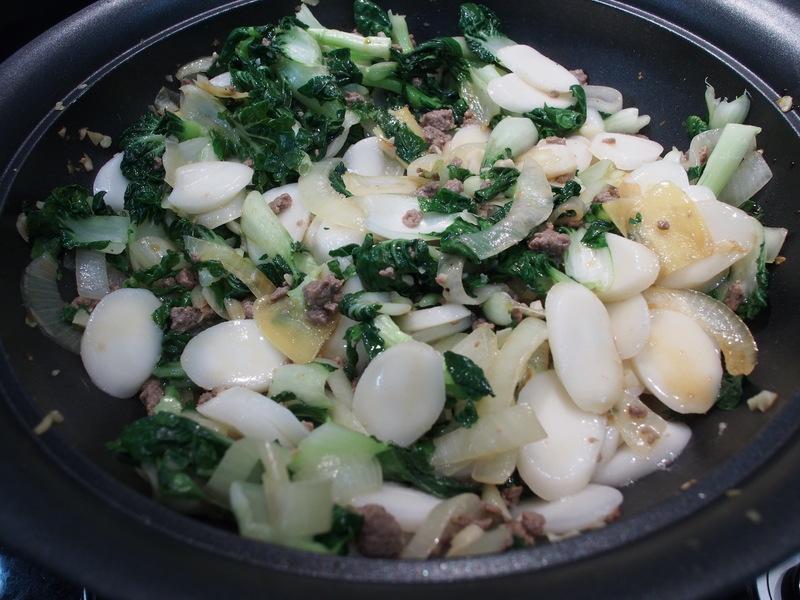 What I love about this dish is it can be cooked in just 50 minutes in 1 pot and there isn’t much to wash afterwards! 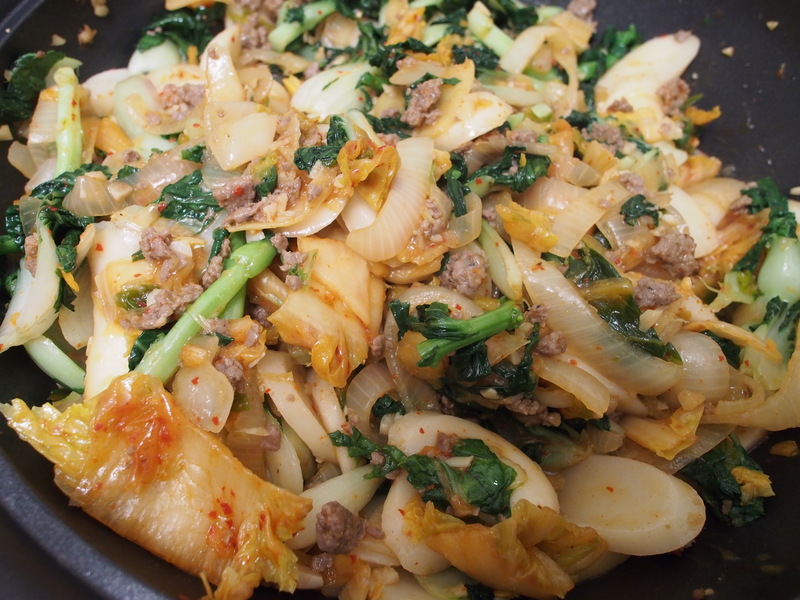 If you love chewy rice cakes, kimchi, crunchy bak choy, and minced beef, you must try this dish! 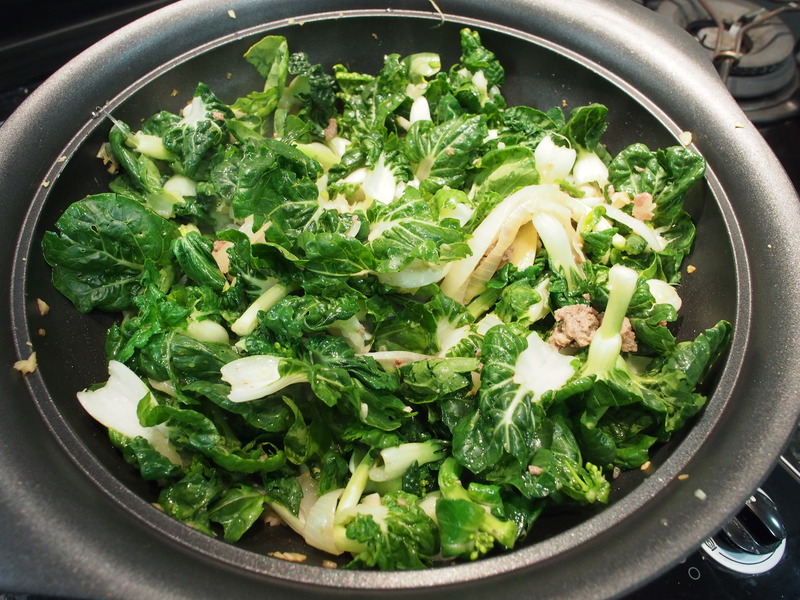 De-stalk, wash, and soak the bak choy. 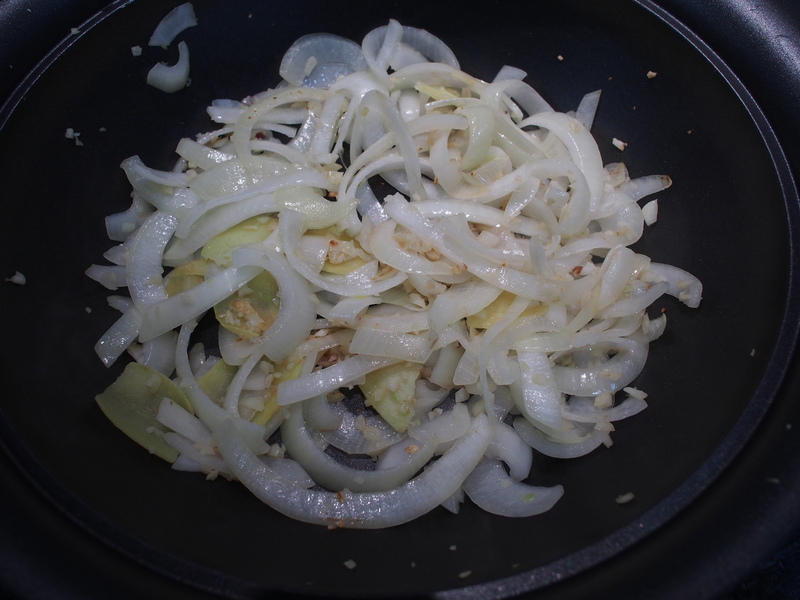 Slice the onions and ginger. 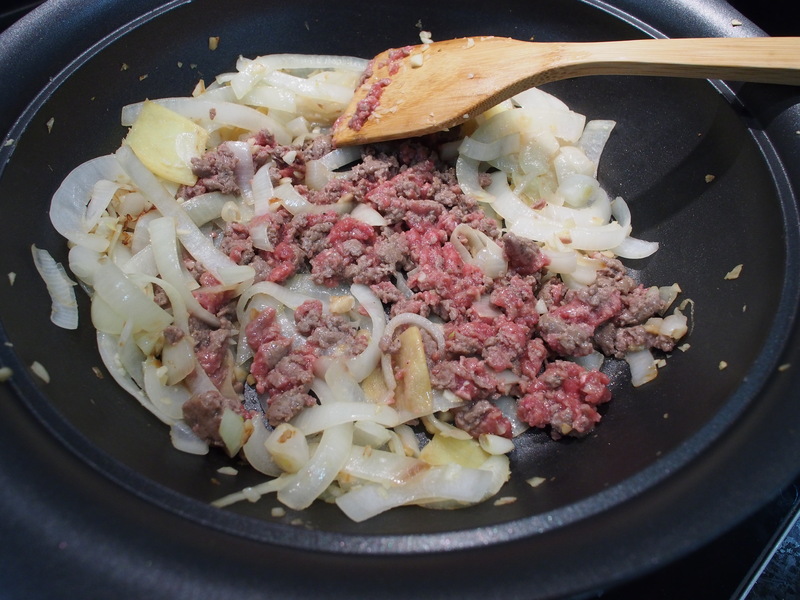 Mince 6-7 cloves garlic. Roughly cut up the kimchi. 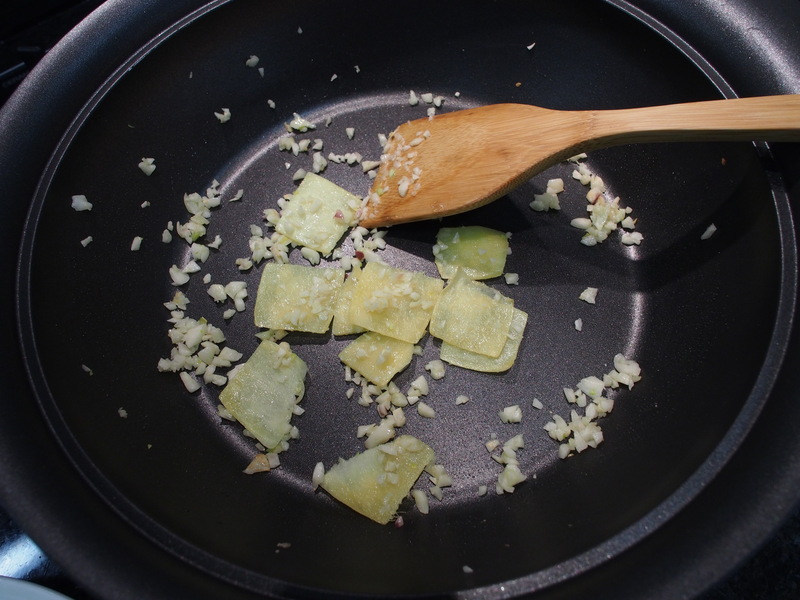 In a non-stick pan over medium heat, heat up 1 tbsp of oil and fry the garlic and ginger until the aromas come out. 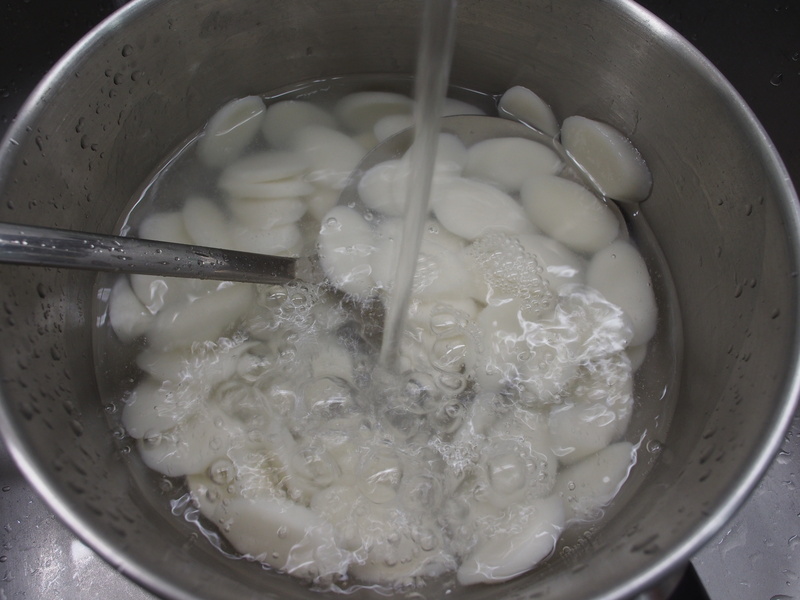 *it’s very important to get the timing just right* It’s only a minute’s difference between just chewy and soggy rice cakes. 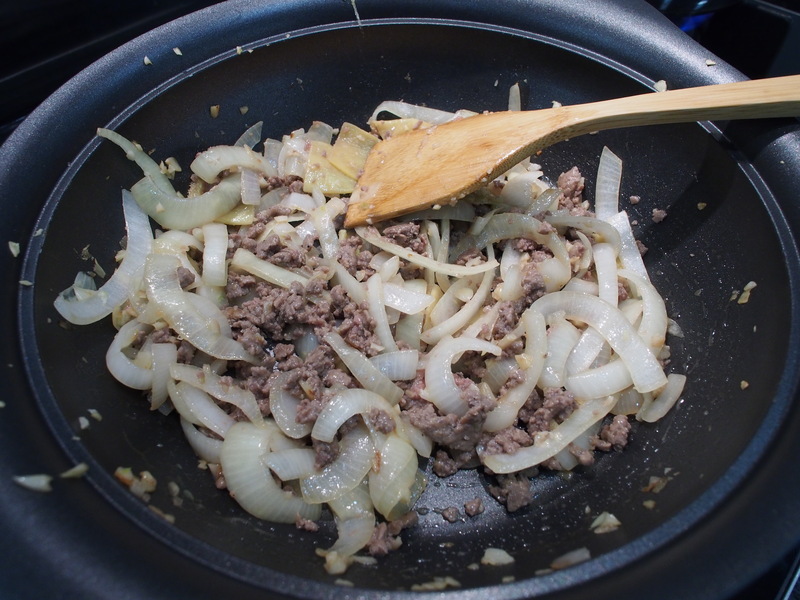 *The rice cakes needs to be ready just in time to mix with your cooked veggies and meat. 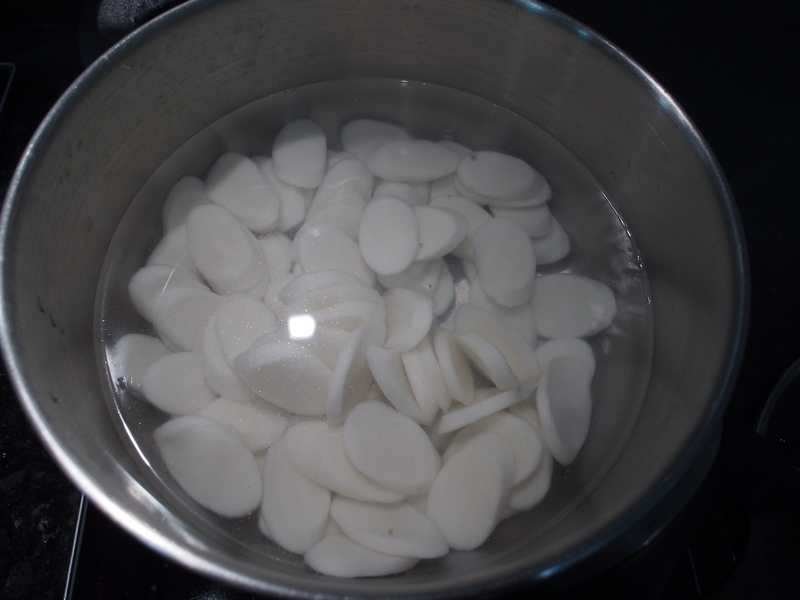 If you cook it too early on, they will dry up and stick together, then you will jeopardize the texture of the veggies while reheating the rice cakes. 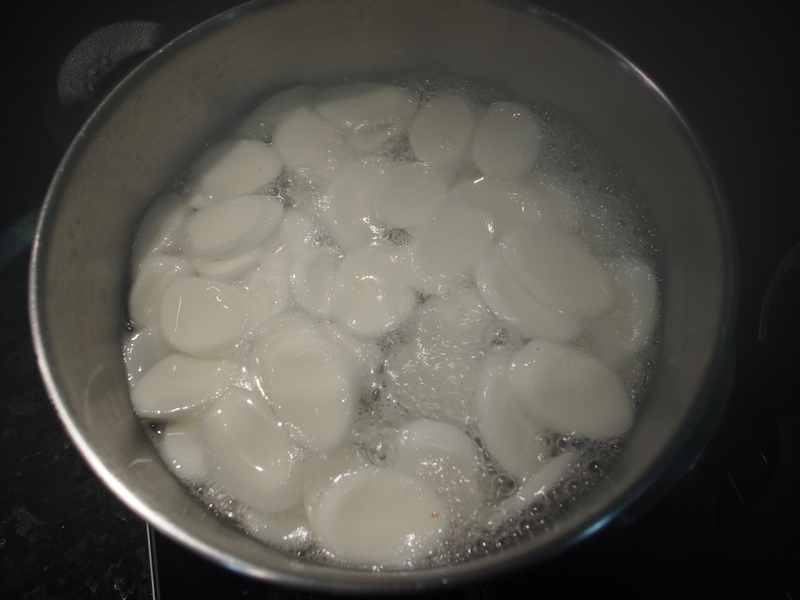 Similarly, don’t wait until too late to cook the rice cakes or else your veggies and meat will overcook while waiting for your rice cakes, resulting in a very soggy dish. At this point, the meat should no longer be pink. Dump in the bak choy. 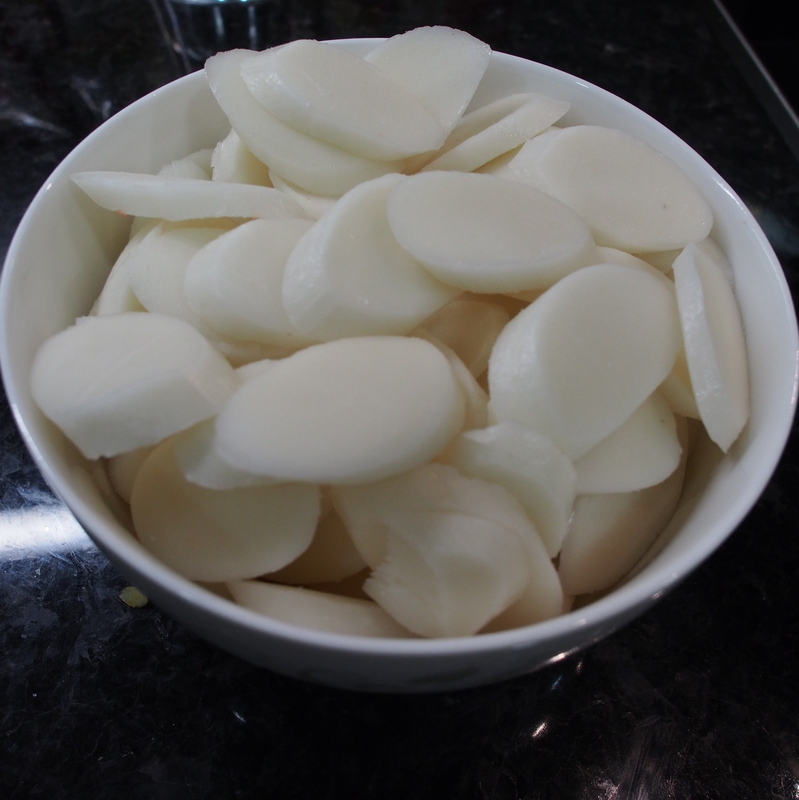 The rice cakes should still be slightly warm inside, look shiny, and not be sticking together. Don’t worry if they don’t look completely cooked, you will further cook them in meat/veggie juices. 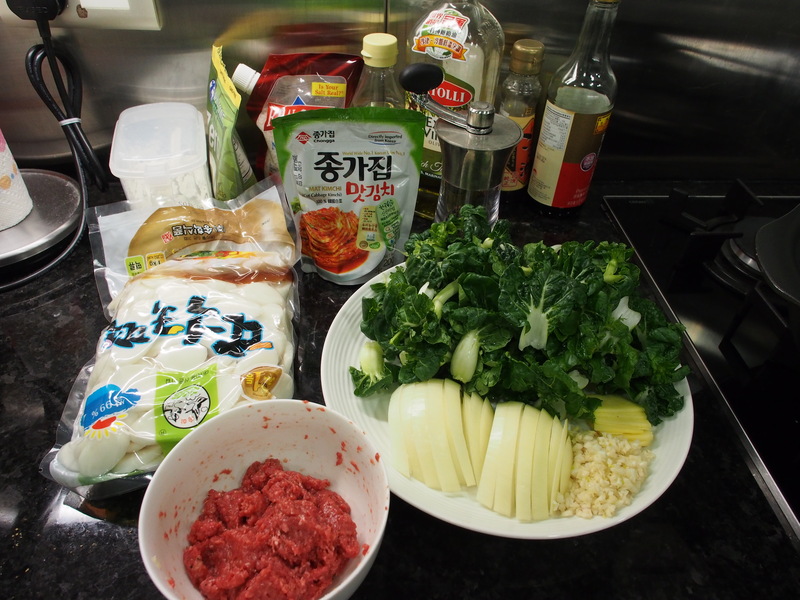 Lastly, add the kimchi and all it’s juices. 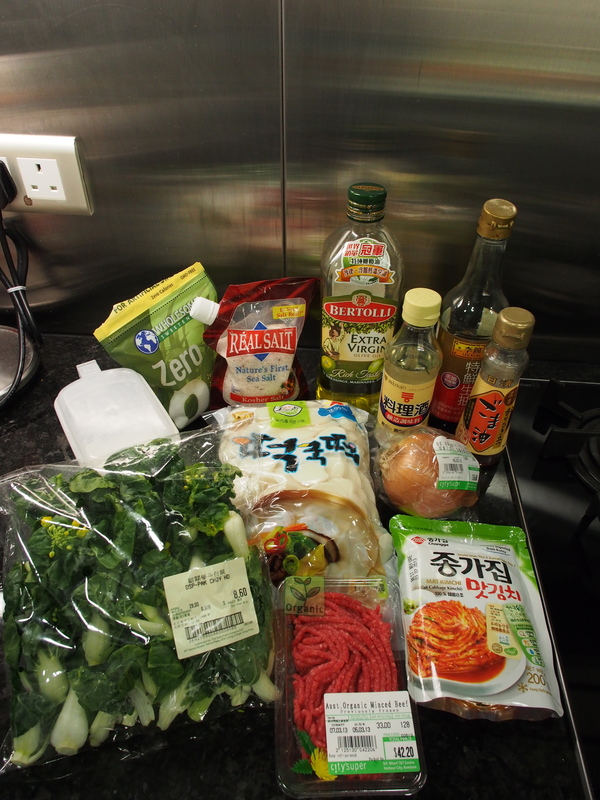 I like to add the kimchi in last because I find cooking kimchi for a long time causes it to lose its flavors and texture. Just let all the flavours come together. 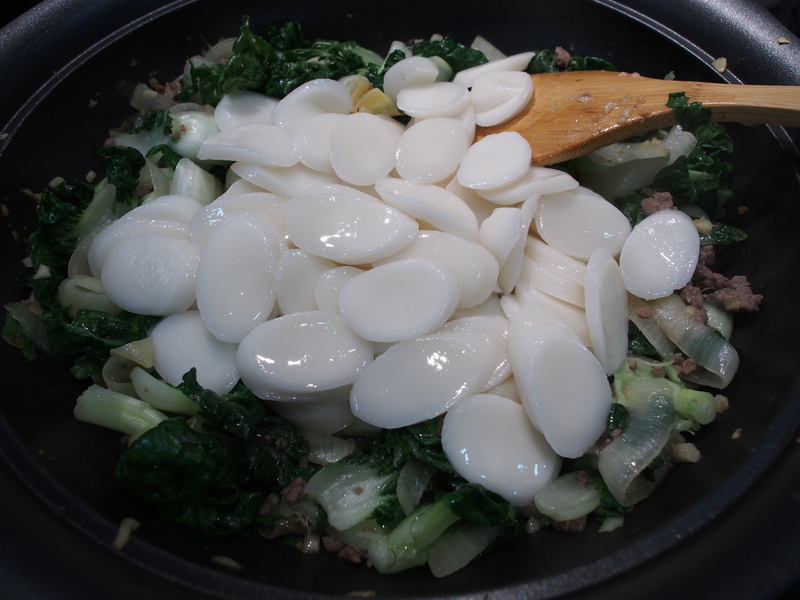 Be careful not to overcook it as the rice cakes get soggy really easily and the bak choy will start to lose its water and crunchiness, resulting in a very soggy dish without much texture. 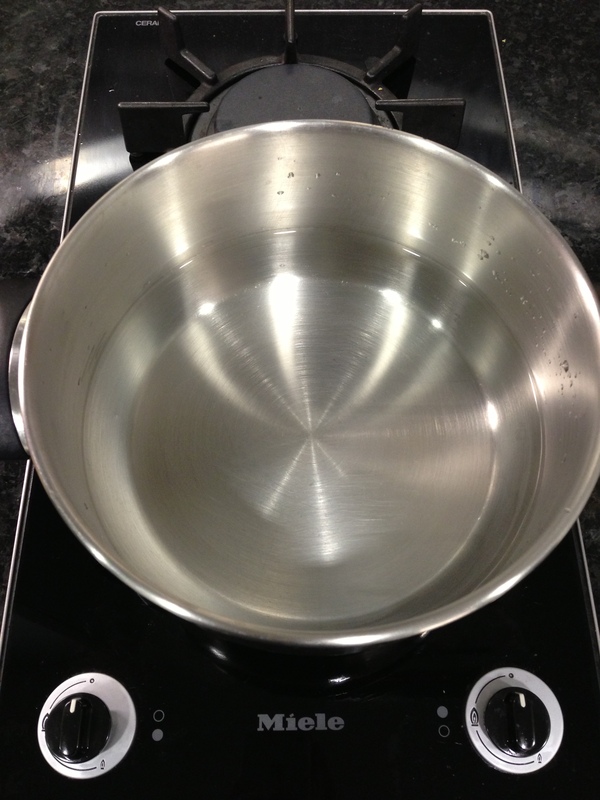 Finally, add a splash of sesame oil to further bring out the aromas. And that’s it! Scoop into bowls and serve to your loved ones. This dish is all about the colors and textures. 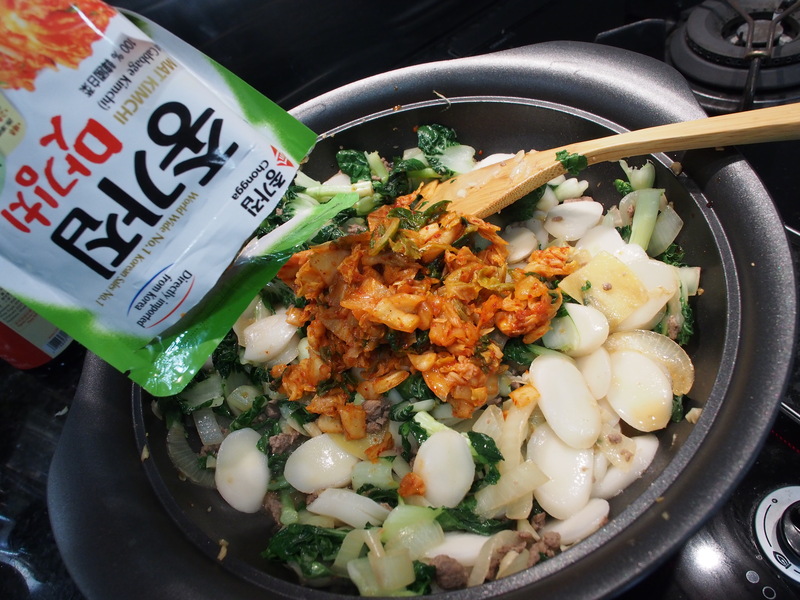 The rice cakes should have taken up the bright red color of the kimchi and golden color from the soy sauce and the veggies still green and plump. 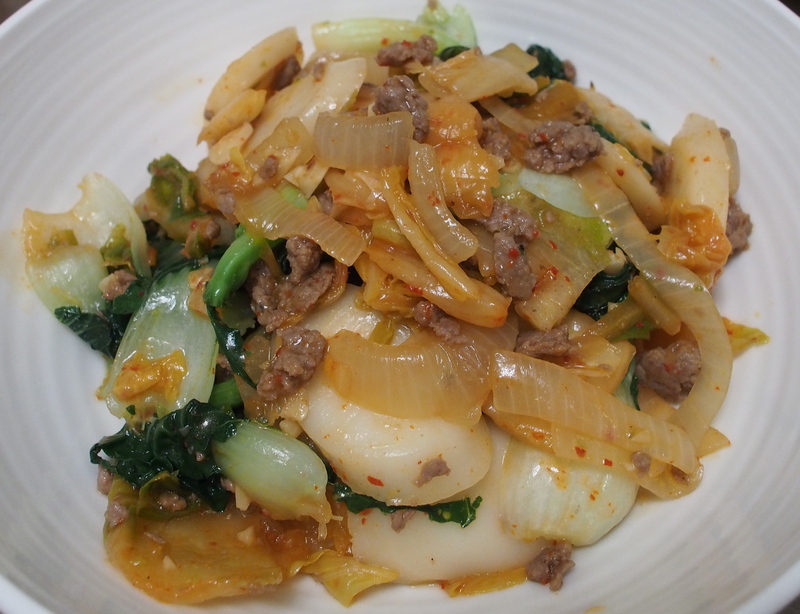 The rice cakes should still be very chewy while the kimchi and bak choy still crunchy. This is perfect for me..I love chewy foods!! Can’t wait to try it out. And, my mouth is all watery now! This is so cool. 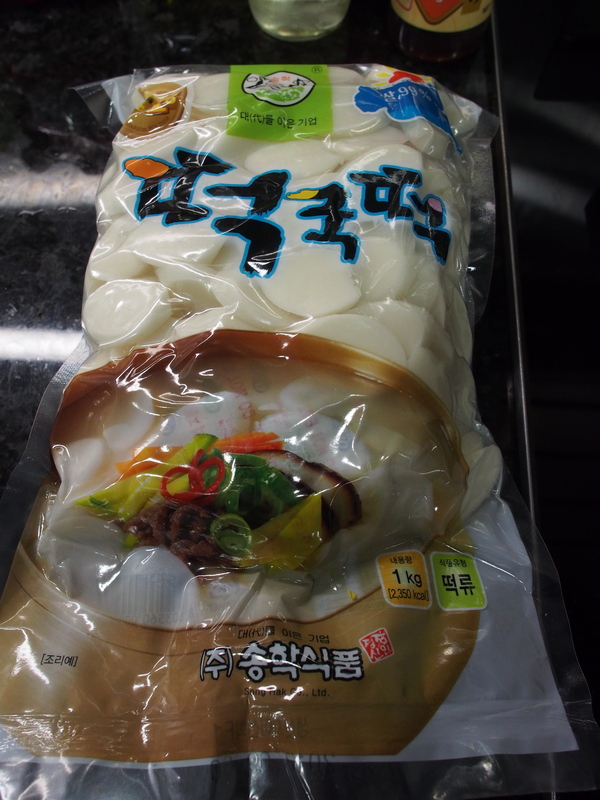 My mom got these Korean rice cakes from someone once, and we didn’t know what to make with them!